Facial paralysis surgery is sometimes used to treat Bell’s palsy, synkinesis and other conditions that cause facial weakness. It often helps individuals strengthen weak smile muscles and address other forms of facial paralysis. At the same time, facial paralysis surgery may require an extensive recovery process. 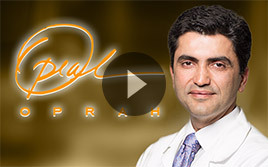 At The Facial Paralysis Institute, Dr. Babak Azizzadeh, a globally recognized facial plastic and reconstructive surgeon, administers facial paralysis treatments. He allocates time and resources to teach patients about all aspects of facial paralysis surgery, including the recovery process. That way, a patient can take the necessary steps to quickly regain his or her confidence following facial paralysis surgery. Facial paralysis surgery is proven to be safe and effective, yet an individual’s stress levels may rise in the weeks and days leading up to treatment. Plus, following facial paralysis surgery, a patient’s stress levels may increase as he or she tries to stay on course throughout the recovery cycle. Oftentimes, it helps to take a break after facial paralysis surgery. At this point, a facial paralysis surgery patient can read, spend time with family or engage in other “de-stressing” activities. This may allow a facial paralysis surgery patient to alleviate stress as he or she recovers after treatment. Self-affirmations often have a positive effect on a person’s overall quality of life. For a facial paralysis surgery patient, self-affirmations allow him or her to focus on the positives of daily life. As a result, daily self-affirmations could help a facial paralysis surgery patient bolster his or her self-confidence. Additionally, daily self-affirmations have been shown to help people maintain a clear perspective on the obstacles of daily life. They foster positivity that may be contagious, too. Therefore, with daily self-affirmations, a facial paralysis surgery patient may feel good about himself or herself following treatment, as well as spread positive feelings to family members, friends and colleagues. 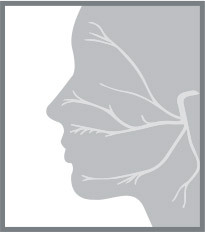 Facial paralysis surgery recovery is a long-term process, and a patient must plan accordingly. Fortunately, Dr. Azizzadeh helps a facial paralysis surgery patient understand what to expect during the recovery process so he or she can establish realistic goals. Learning about facial paralysis surgery recovery is key. If a patient understands the recovery cycle, he or she can take a step-by-step approach to reach recovery milestones. Also, a patient can work directly with Dr. Azizzadeh to ensure he or she achieves the optimal facial paralysis surgery results. Facial paralysis surgery recovery should not be a solo journey. Instead, a patient should collaborate with family members, friends and other loved ones who can lend a helping hand throughout his or her facial paralysis surgery recovery. Loved ones are available to provide support in good times and bad times alike. They can listen to facial paralysis surgery concerns and provide emotional and psychological support that a patient may struggle to receive elsewhere. Thus, loved ones can play a major role in a patient’s quest to fully recover from facial paralysis surgery. In the past, facial paralysis may have made it tough for a person to smile, frown or make other facial expressions. Thanks to surgery, a person can correct his or her facial paralysis symptoms. This individual can also become a stronger, more confident person as a result of his or her past facial paralysis experiences. Remember, undergoing a facial paralysis surgery requires a tremendous amount of courage. Getting through a facial paralysis surgery is a significant endeavor, and an individual can take solace in the fact that his or her treatment was successful. 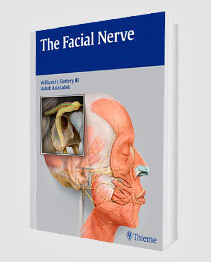 Now, this individual can move forward with the confidence that goes along with safely and effectively treating his or her facial paralysis symptoms. For those who want to treat their facial paralysis symptoms, Dr. Azizzadeh is available to help. 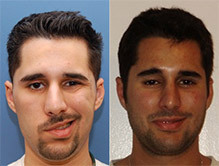 Dr. Azizzadeh is happy to evaluate an individual to determine if surgery can help him or her correct facial paralysis. To find out more, please contact us today at (310) 657-2203 to schedule a consultation with Dr. Azizzadeh.